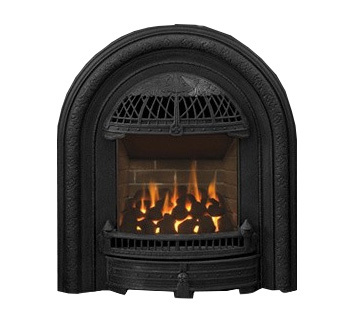 The Windsor gas insert is available two ways, with or without a backing plate. 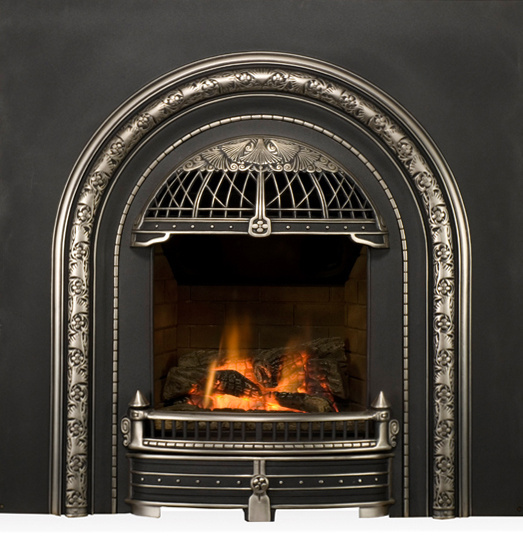 Without the plate, it's called a "cutaway" because the cast iron front is only made with the plate attached to the casting, so to make it arched the manufacturer literally cuts off the plate. 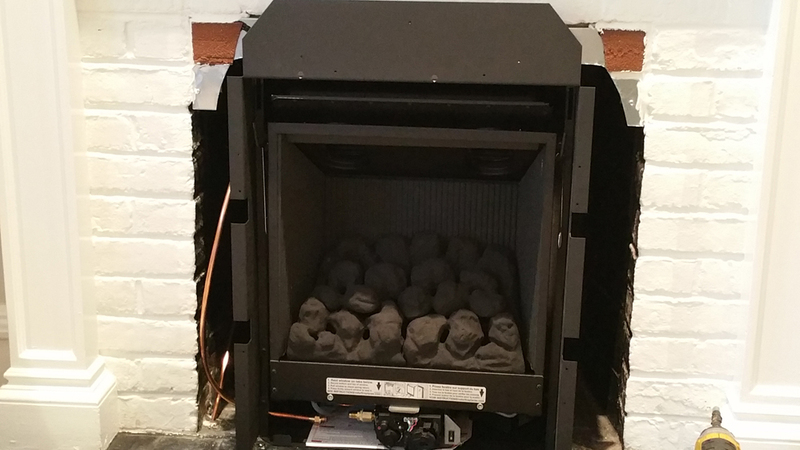 In the photo below, the dimensions of the fireplace opening meant the arch was too small to cover the top corners, but the customer didn't want to cover up their brick by using the back plate. 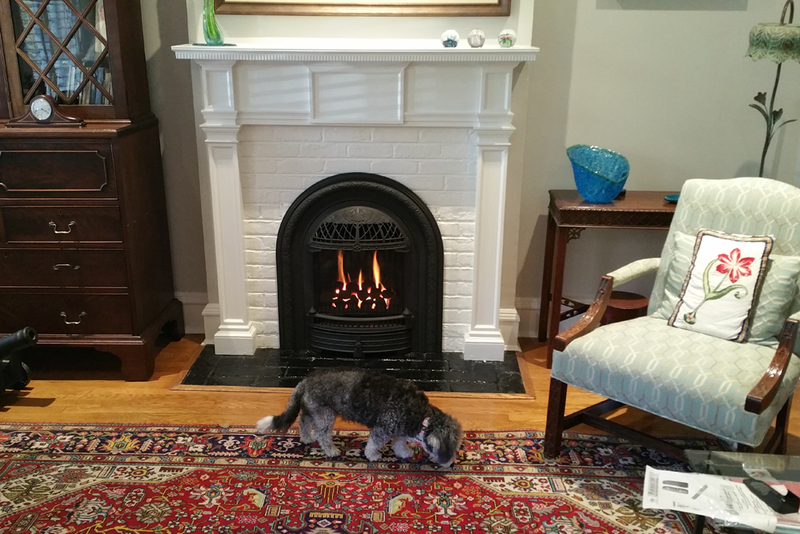 So Mike attached some brick to the upper corners and painted it white to match the fireplace, and it turned out great!